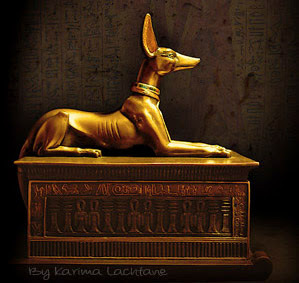 A most curious object was found in Tut-ankh-amon's tomb, actually two objects were found. Some call them strange others think that they have an idea of what they might be. -also known as the imiut (/Ami-ut) fetish. The two mysterious objects that were made by gold, and stood in the western part of the corridor of Tut-ankh-amun's tomb, have been speculated over for many years. These objects are also to be found on the walls of ancient Egypt, both in the tombs and upon the temple walls but also in papyrus scrolls. It is said to be a pied headless bull's stuffed skin fastened to a bare pole, which stands upright in a pot, the bulls tail is rapped around the pole. 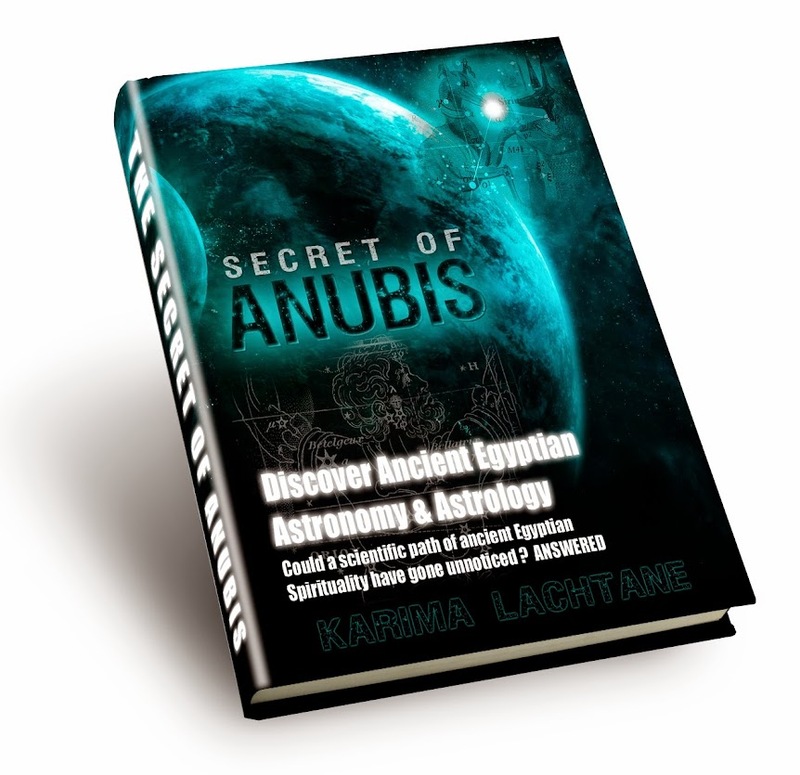 And that it was Anubis who performed ceremonies with it, dating back to the old kingdom. Notably is the fact that this object seem to belong to the ceremonies of Osiris; It is often shown near the sitting Osiris, but furthermore is the fact that Osiris was connected to the Bull. Some suspect this skin to belong to the ‘Mnevis’ bull, the bull of Heliopolis. The bull skin on the pole is believed to represent the Mother cow that produced the 'Mnevis' cow, also known as the Hesat cow. The Mnevis bull had special markings/characteristics, and was associated with Ra - The Sun God. Since almost every gods or goddess scene in ancient Egypt has a religious ceremony behind it, we can pretty easily conclude that it is a ritual object of some sort. The precise function seems to be unknown, but further translation of the reliefs might give some hints. I have always thought that the scene looked a lot like a 'halal' butchering (A Muslim tradition that cut's the meat in a cleaner fashion), this does not mean that I am right, I just thought of that as the first thing, when I saw the scenes. It is clearly to see upon the Papyrus of Anhai and the papyrus of Ani, that blood is dripping from the neck. I am not sure if they really did such a thing or if this is a spiritual representation /only drawn. But I do not think that they did this to the mother of a chosen bull, it would make no sense with the whole balance theme. If goat skins were used for wine and water. It seems more likely that this is a wine carrier. With a stopper in the neck - the only way to support it would be to hang it up. The stopper would probably be in a ceramic disc, and the skin attatched by sinew binding. You are absolutely right! I am baffled that I did not think of that, that is why its good that the world has so many individual minds. Thank you! Thank you! And your right so simple and practical, and yes then it would need to be attached as it is. This also fits together with their other cultural ritual, just as the one with the two Lotus flowers. Nice idea about the wine, this could be verified by chemically testing the true fetishes. My interpretation of the Imiut mystery is that of a sacrifice. The blood is drained from the animal into a pot that sprouts a lotus (symbol of rebirth). 2. Legs of water carrying animal vessels are always cut off or tied together for transport. Not left loose. This is perhaps a heavily stylised representation of what must have been a common pagan ritual at funerals/burial sites.